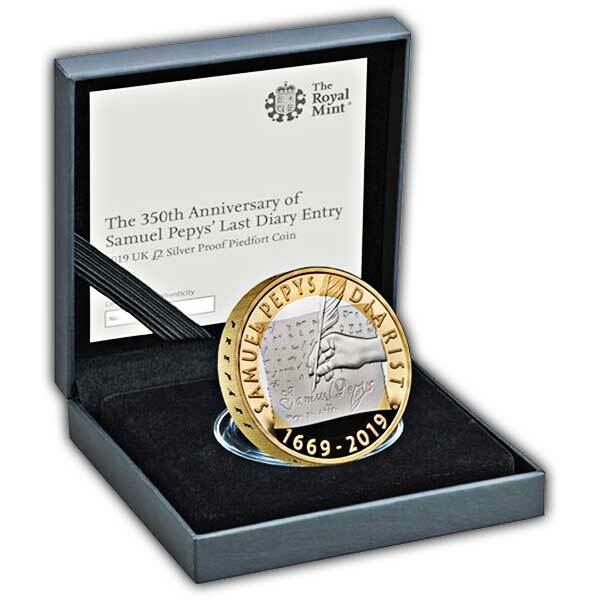 The diary of Samuel Pepys is a unique and prized historical document. From the first page Pepys’ writing draws us into scenes of life at the time of the Restoration. His eyewitness accounts of great events like the coronation of Charles II and the horrors of the Great Fire of London and the Great Plague appear alongside reports on his business, leisure and home life. His detailed impression of events and people are so vivid because he intended them to be for his enjoyment only. Pepys brought his diary to a close on 31 May 1669, fearing he was losing his sight. 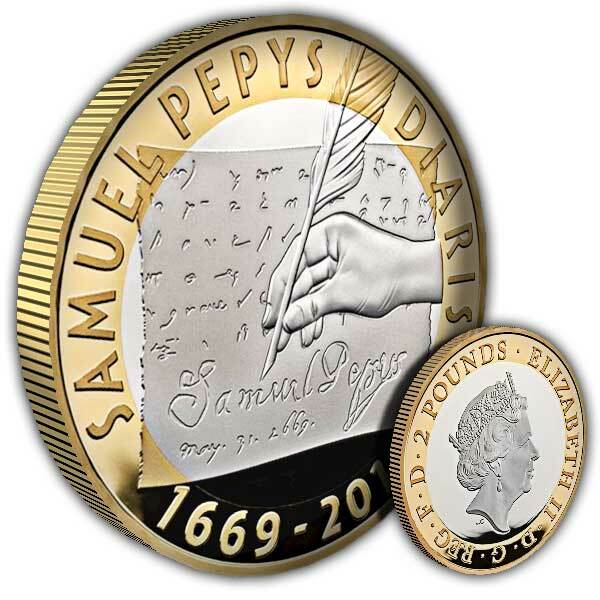 To celebrate the 350th anniversary after Samuel Pepys’ last diary entry, we have struck a £2 coin as a special silver piedfort edition.